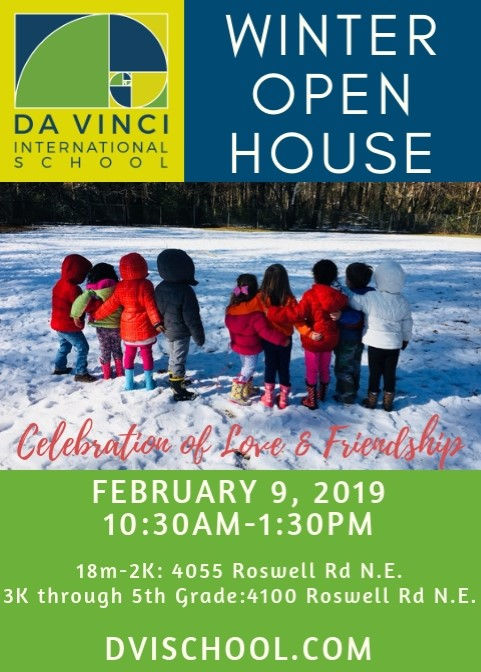 Da Vinci International School (DVIS) is inviting you to our Winter Open House and Celebration of Love & Friendship on Saturday, February 9th between 10:30 am – 1:30 pm. DVIS believes that excellence and mastery are critical elements of innovative, multilingual education. Students learn in a personalized environment, uniquely suited to their individual needs. Pre-K students can learn in an immersive French or Spanish language environment, while elementary students continue onto a trilingual French, Spanish and English program exhibiting mastery as trilingual and tri-literate scholars by the end of fifth grade. Accredited by the French Ministry of Education, DVIS’ instruction often leads to students who are outperforming their native language speaking peers. Equally important, DVIS inspires students and their families to embrace their role as members of the international community. Children learn to appreciate cultural differences and to think critically with empathy. DVIS develops a love of learning in all children, preparing them for success as they move into the next phase of their education. 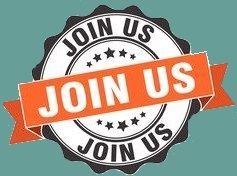 Imagine the opportunity to experience a proven school program that uniquely prepares students to live in an increasingly diverse world. DVIS students learn to create positive change throughout their academic experience at DVIS. Please come and join us during our Open House and enjoy the day of fun activities for the kids during the Celebration of Love and Friendship. Invitation to the Celebration of Love & Friendship on Saturday, February 9th: Please RSVP by clicking here. The Winter Open House is combined with our Celebration of Love & Friendship and is a day for our DVIS community to gather together for lots of fun activities! Location: WEST Campus will have all activities (4100 Roswell Road within Buckhead Baptist Church-No affiliation). East Campus, 2K Classrooms, will also be available for visits during the same Open House hours, but no activities will be located there. Fun for the kids: There will be love potion mixing, suncatcher crafting, marshmallow architecture building, music & dancing, “Golden Rule” body art, and Tree of Love decorating! Great time to speak with current and future teachers! All lead teachers will be greeting new and prospective families to discuss their classrooms, curriculum, and more!